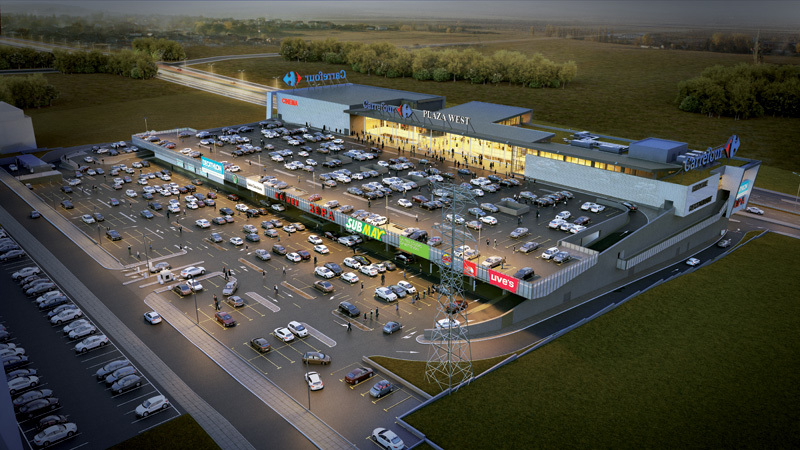 Plaza West is a user-friendly shopping concept, anchored by a Carrefour hypermarket. The project is located on the developing suburb to the West of the city. 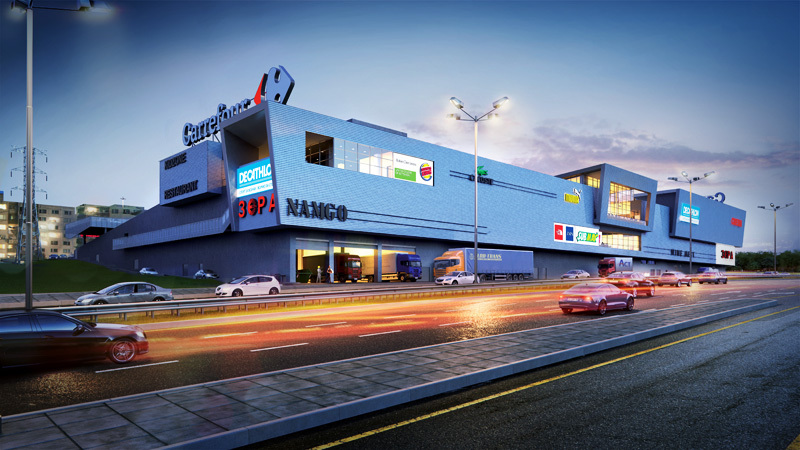 The shopping mall consists of three commercial floors, provides an entertainment and leisure activities as well as parking for more than 750 cars. The developer of Plaza West is a highly experienced and successful property developer that has built projects like Burgas Plaza, European Trade Center among others. The project is situated on Sofia West Ring Road, an international road leading to Greece and Serbia, one of the busiest Sofia roads, also connecting the Western, Southern and Eastern parts of the city. Its location features great visibility and developing infrastructure that will strongly improve the accessibility of the area and the plot. 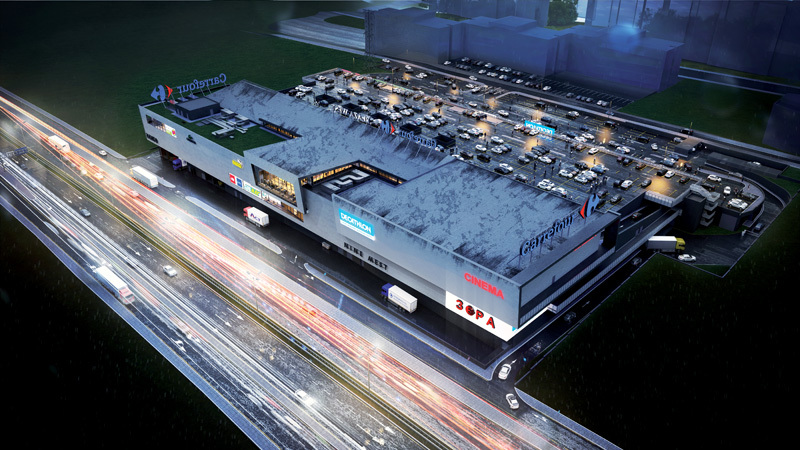 The ongoing extension of the Sofia Ring Road will be completed along with the development of the project. The project is located in one of the most densely populated residential districts of Sofia – Lyulin.